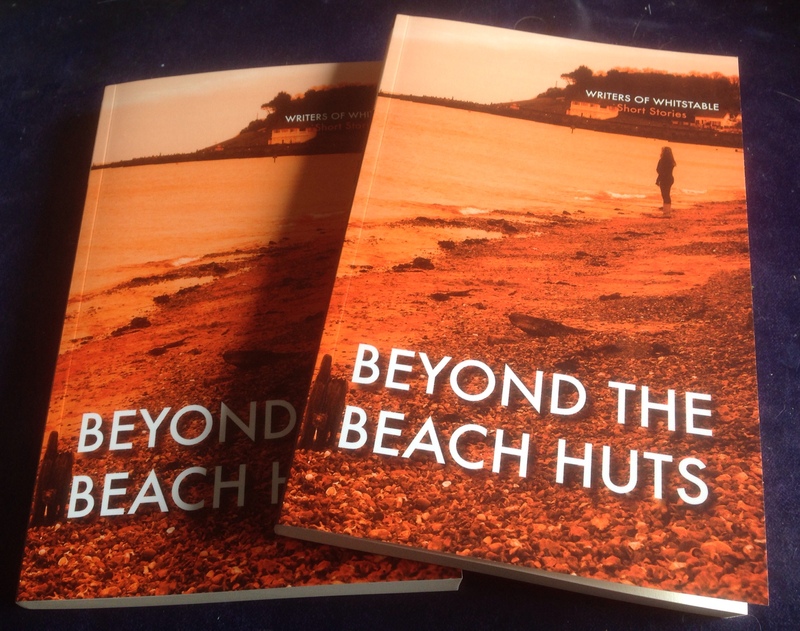 A writing group I’m part of is currently celebrating the release of its first book – Writers of Whitstable has produced a collection of short stories all set in the town. The collection includes a variety of genres, from around a dozen different writers. The project started around September last year, when it was suggested we produce a book to release in conjunction with Whitlit, a local writing festival. 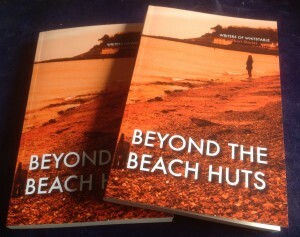 We came up with a theme – all stories were to be set in the town of Whitstable or have some connection to it – and the title – Beyond the Beach Huts, suggesting an insider’s view of the town – and writers each came up with their own ideas. Stories were brought to writing group for critique (we send stories around a week before the meeting, so on the evening we can discuss them) and then the writers continued to work on them privately, returning them for further critique if they felt they needed it. We had a few months for this process, with final copy being in by the middle of February. My role in all this, apart from writing my own stories to contribute, was to accept final versions, give them a proofread/very light edit, send them back for approval, and then assemble them into a book. An editorial meeting between the leaders of the project led to a running order for the stories, and final proofs were sent out for everyone to check their own pieces and also glance over the rest of the book. I was also responsible for obtaining an ISBN and dealing with the publishing side. Meanwhile, one of our members worked on the cover art, coming up with an eye-catching cover that we’re all very pleased with. Once cover and interior PDFs were approved, we sent them off to a printer who specialises in books, and three weeks later we were proudly opening three boxes of books. Minor adjustments to the files made them suitable for Createspace, Amazon’s Print On Demand service, and for ebook, so now as well as copies to sell at local events, we have the book available on Amazon in both paperback and kindle versions. It’s been a really fun project to work on, and the big debate now is whether to do a similar project next year, and if so, what the theme should be. This entry was posted in General, writing and checking and tagged editing, publishing, writing on May 11, 2016 by Lin White.